We have so many reasons to send a little love to someone. Can you see the love on this card? 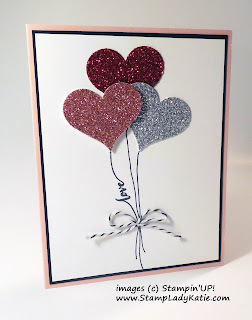 This card features a fun little technique of using the balloon string as the word for the sentiment. I originally made this as a valentine, but then decided to use it as an anniversary card for my brother and sister-in-law instead. 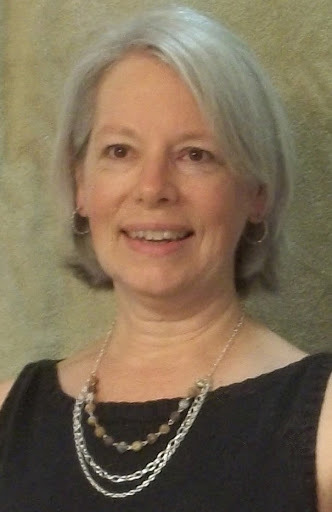 The balloons seemed more suited for celebrating a life event instead of Valentine's Day. How would you use it? . . . Anniversary? Wedding? Bridal Shower? Its super easy to make, just punch 3 hearts (pretty glimmery paper helps of course). Add the strings and a little bow and voila! so . . . what about the balloon string sentiment? You can draw your own lines for the balloons, and add your own handwritten word as part of the balloon string. 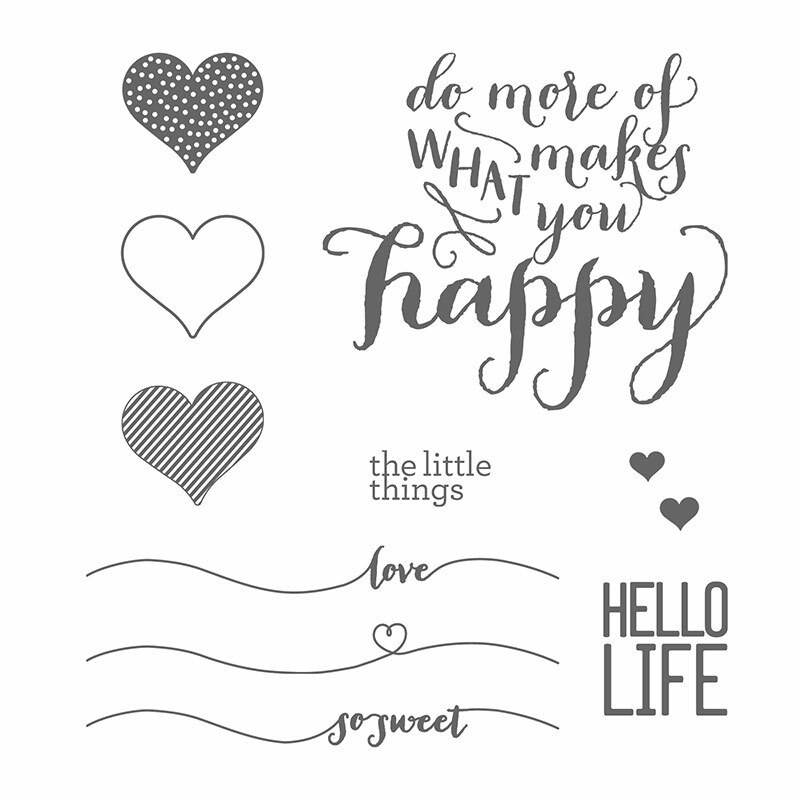 My balloon strings and sentiment are stamped, and I got this pretty sentiment from Stampin'UP! 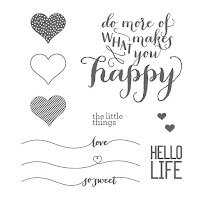 's Hello Life stamp set. All the supplies I used for this card are listed below. Try this on your next card. 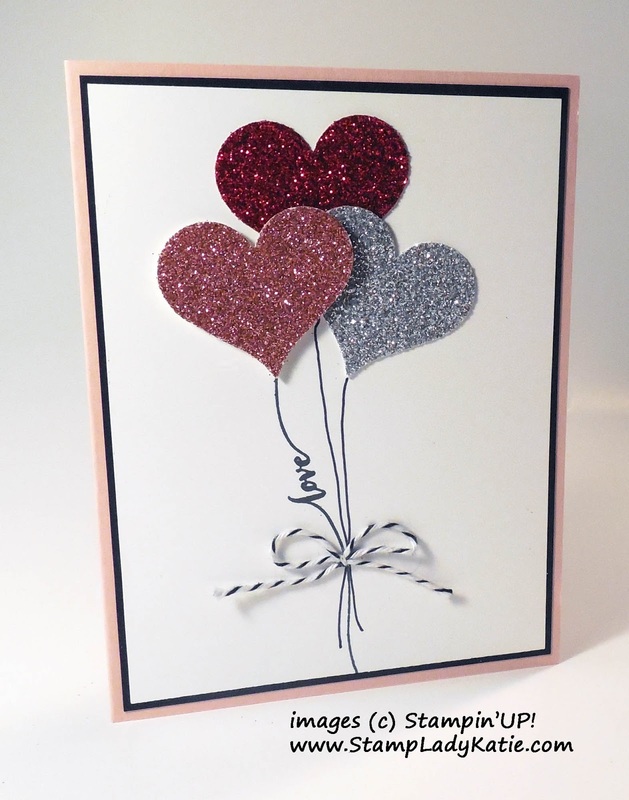 Handwritten or stamped, either way it makes a really cute card when you include a sentiment in a balloon string.